The Freds have jumped the border in an all-new map! 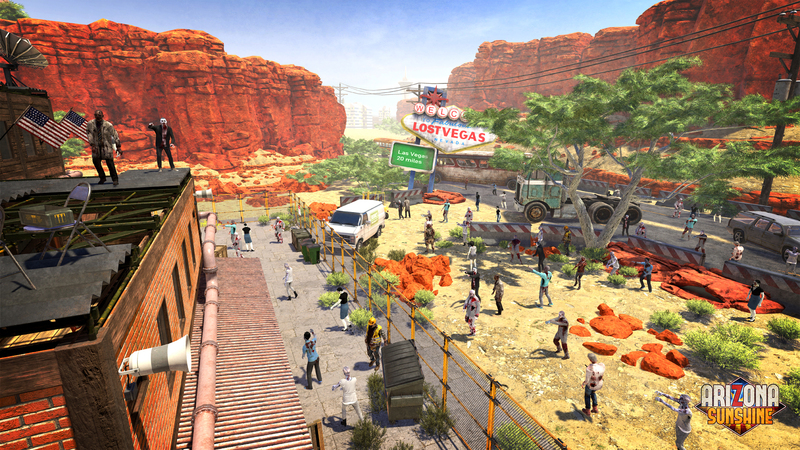 We are delighted to introduce a brand-new Horde mode map to Arizona Sunshine! Undead Valley takes you to a zombie-infested old transport warehouse-turned-underground casino in close proximity to Sin City, Nevada. And you haven't even heard the best part: Undead Valley is available entirely free of charge right now. 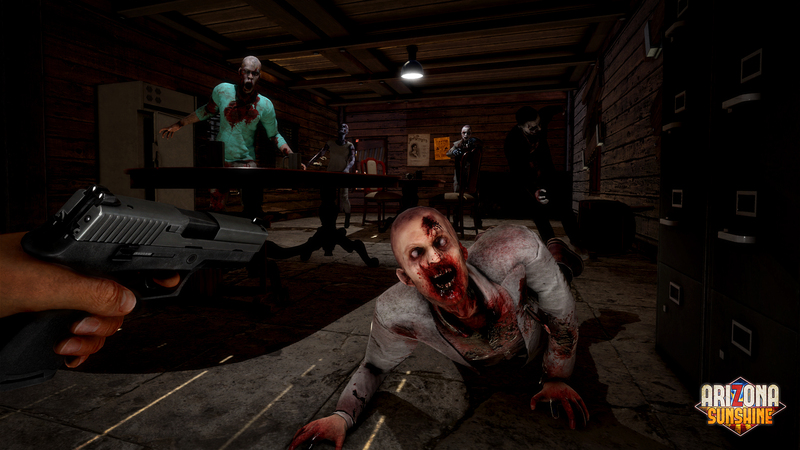 Undead Valley adds an all-new Horde mode map in a location that you haven't seen before. The key to survival above all else is to keep moving and take advantage of the map's indoor and outdoor areas as well as the verticality it adds to Horde mode. Expand your playground by retrieving keys to locked doors and blowing up obstacles in your way to access new resources and tactical positions. 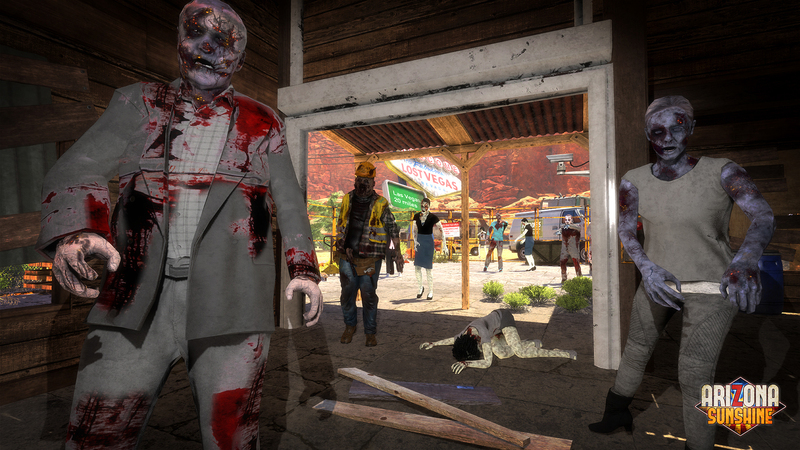 The waves of Freds that you've come to expect in Horde mode have made way for a continuous onslaught of zombies: prepare for the ultimate challenge to test your VR survival skills! What do you think? Share your experience with us here, on Reddit or on Facebook[facebook.com] and Twitter. How to get this map? I can't find this map in my list in horde mode. You can find virtually all of the keys before you start the first round, just climb through the windows. I figured out how to open the big medal door too but I don't know why you would want to. You have to get into the office and start the generator. Whis is also where the shot gun and all of the ammo is located. Im getting vive this week and to see a Free update for a game that im most likely getting to show not only my father but play with close friends. Please keep up all the hard work and dedication to a new frontier in gaming. Could the Devs please share an ETA for the update that will give native Virtuix Omni support? any idea about the zombies still being there when the round ends? whats the point of the waves if there is stil zombies on the map when the round ends? im number 2 on the score board in old mines.